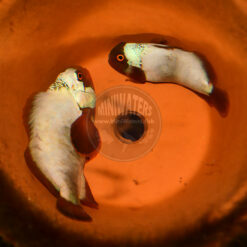 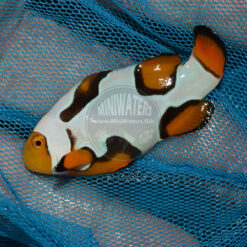 What we have here is a WYSIWYG offering – this is the exact fish being offered for sale! 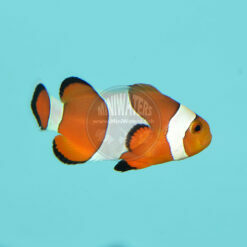 It is still young, less than 2″ in size. This is a gorgeous, arguably nearly-perfect Goldflake Maroon bred here in Duluth, MN by Doty Aquaculture. 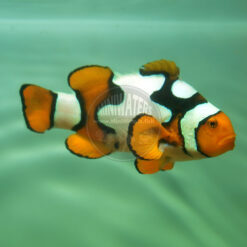 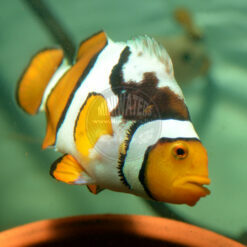 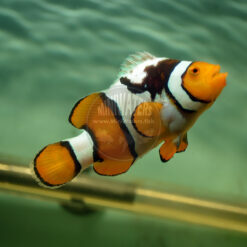 The parents of this fish are a Goldflake Maroon and Gold Nugget Maroon, both of ORA lineage. It would make a perfect mate with the Gold Nugget Maroon we have in stock from Proaquatix at the moment; this type of pairing yields a mix of Gold Nugget and Gold Flake offspring! 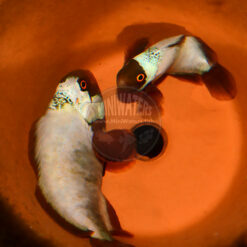 I’d like to say it’s a 50/50 mix (which is our genetic hypothesis) but we didn’t get enough fish in this first batch to outright confirm that yet. 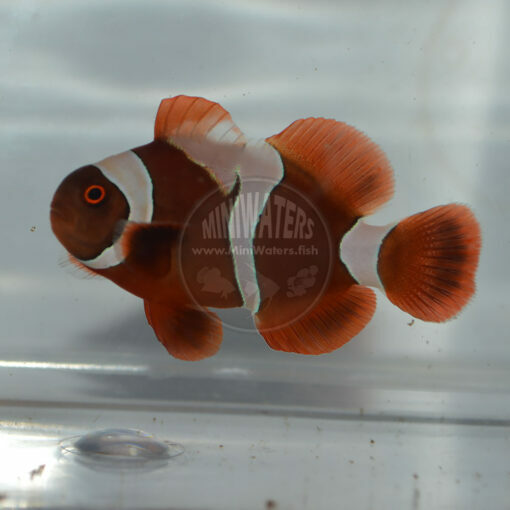 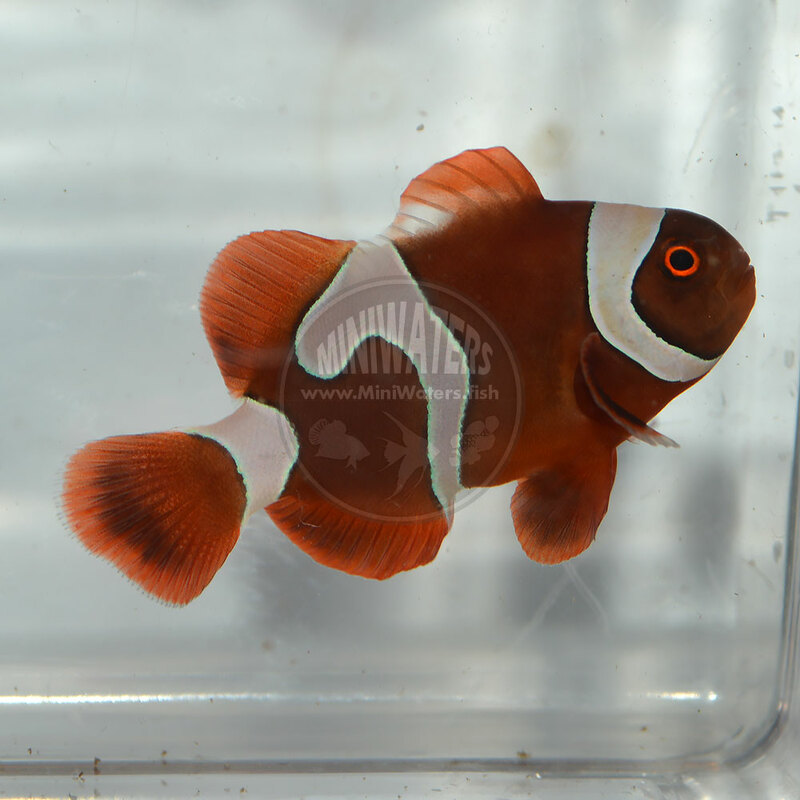 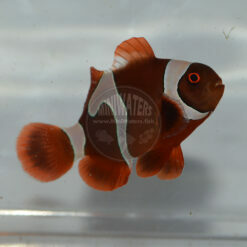 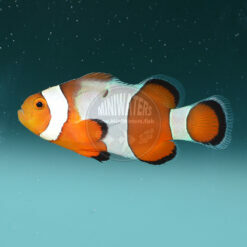 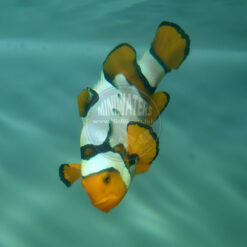 Please visit our general Goldflake Maroon Clownfish product page for more background information on this variety (and to see a picture of the actual father of this fish!). 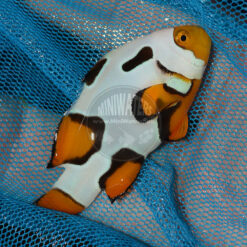 The mature Gold Nugget shown on the Gold Nugget Clownfish product page…well…that happens to be it’s mother!